Meet a cute stripy dog who thinks he’s a doctor! Laughter is the best medicine in this cosy delight. Do you love to play? So does Dylan! Today he’s being a doctor, with a special medicine bag. He dashes about looking after all his friends: Purple Puss, Jolly Otter and Titchy Chick. But soon poor Dylan is very tired. Who will look after him? All his friends, of course! 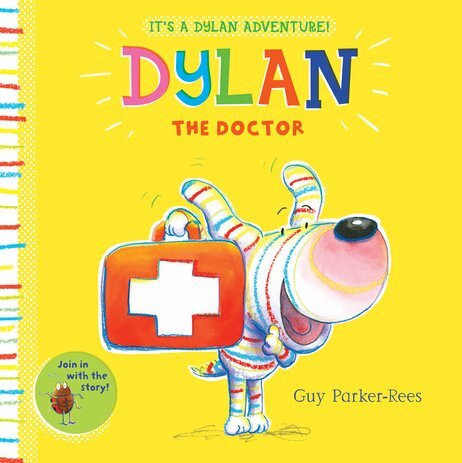 First in a brand new, super-cute series from picture book legend Guy Parker-Rees. Nothing makes you feel better than a great playtime with some great friends!